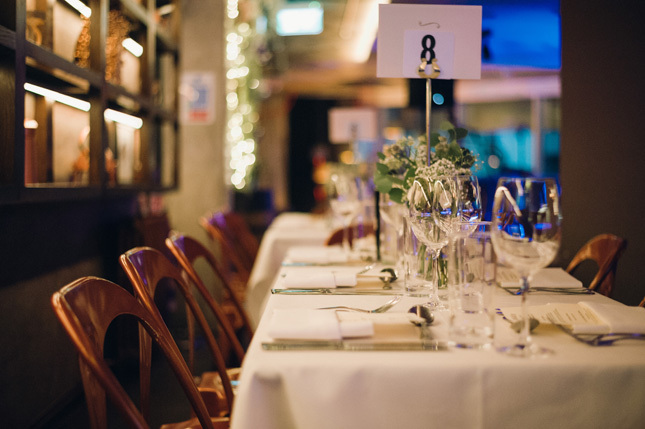 They're both foodies so Medley was the perfect venue! 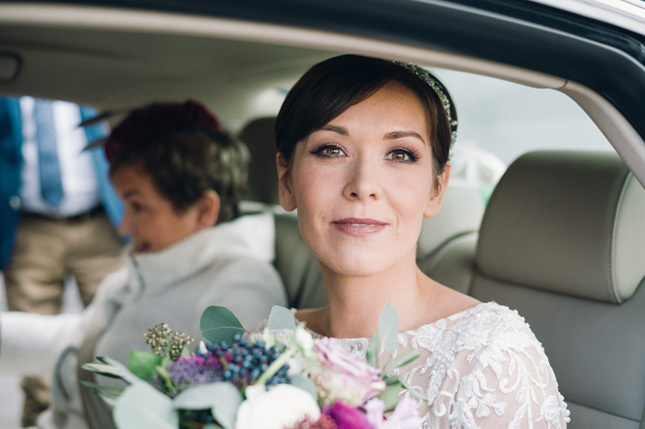 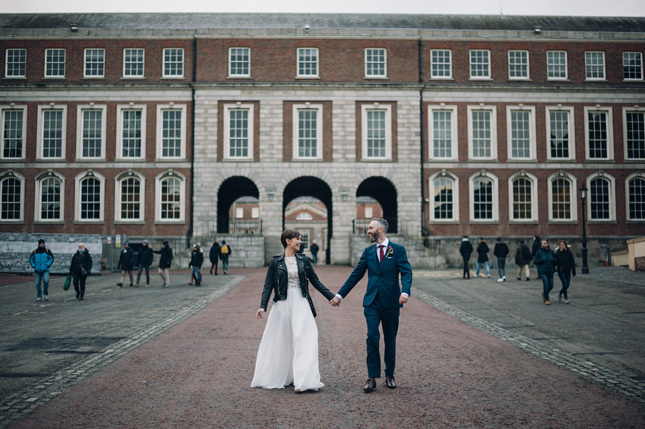 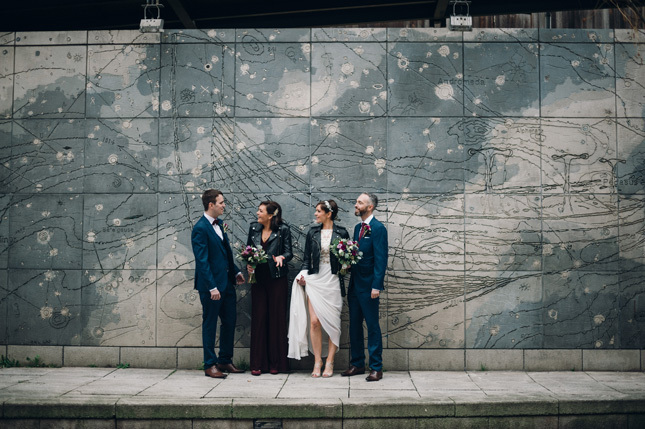 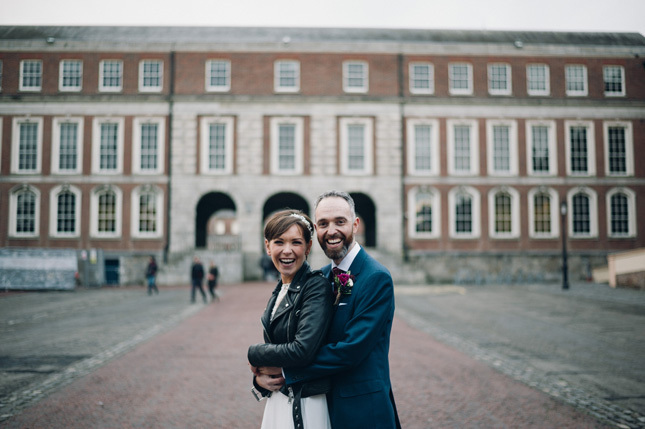 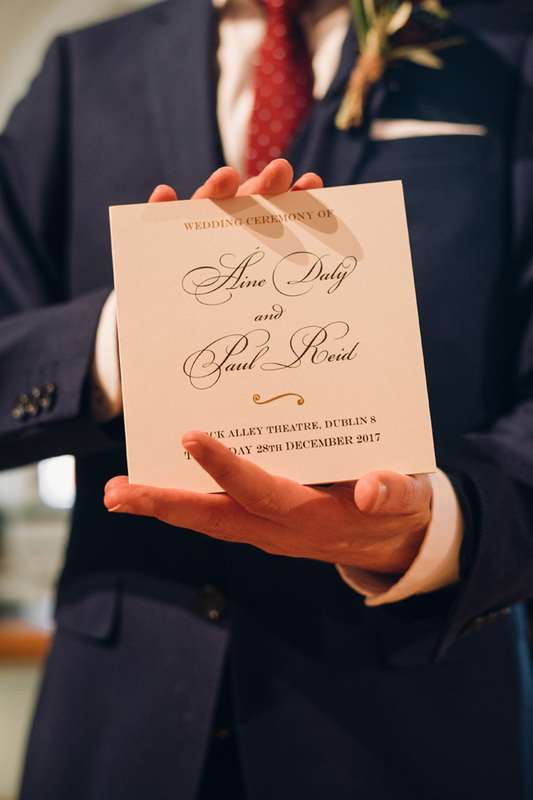 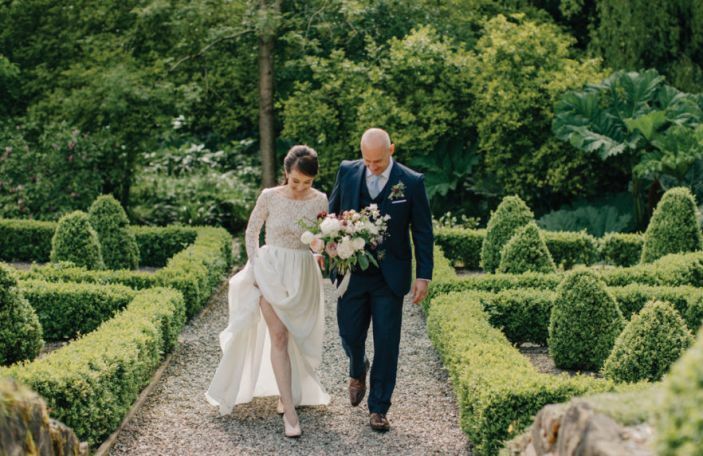 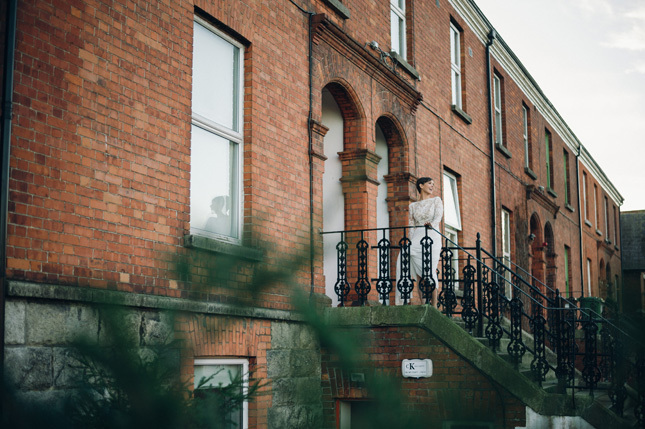 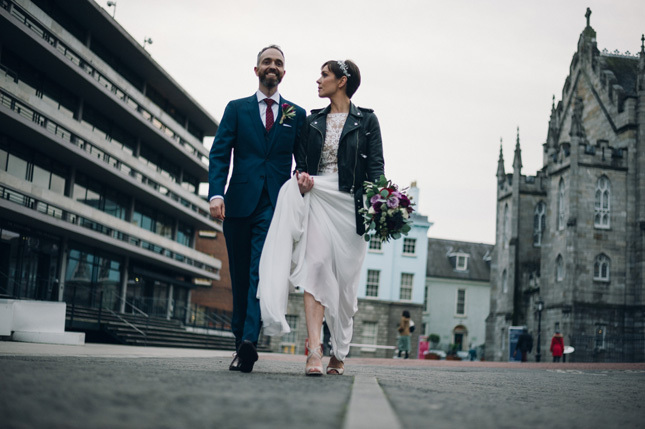 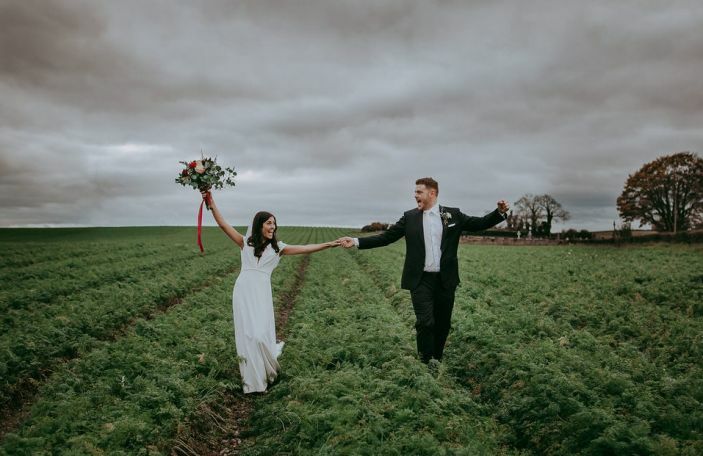 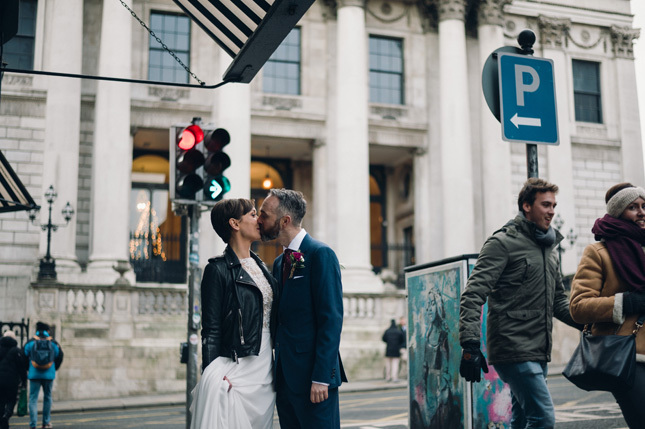 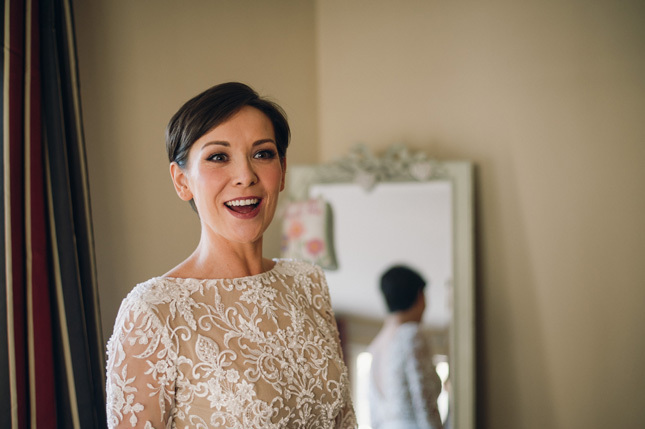 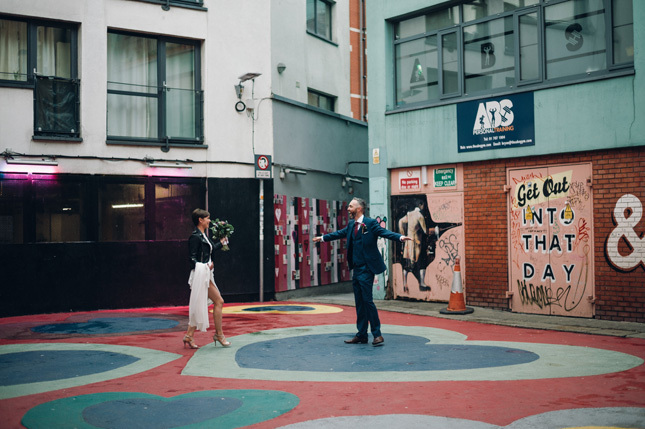 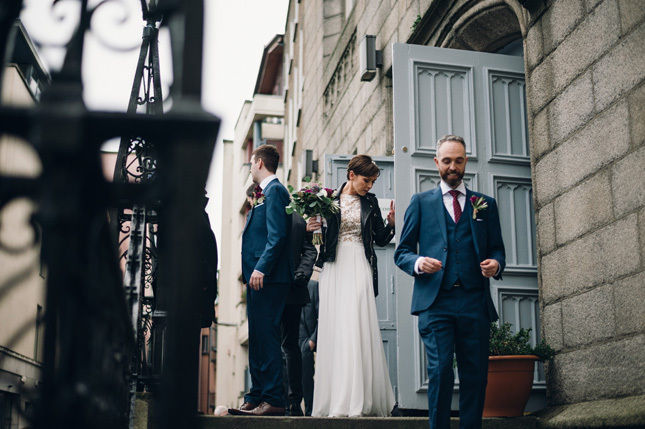 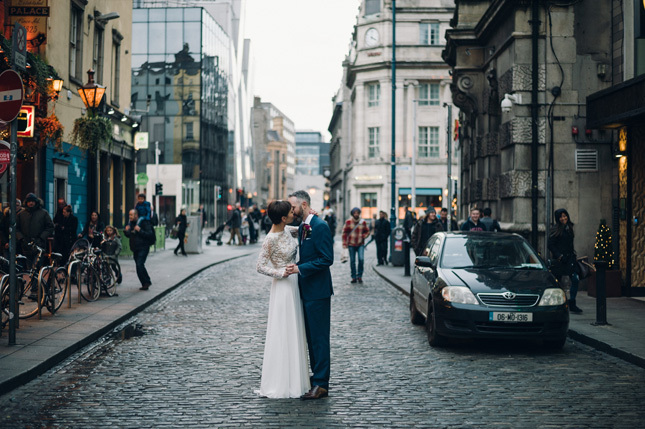 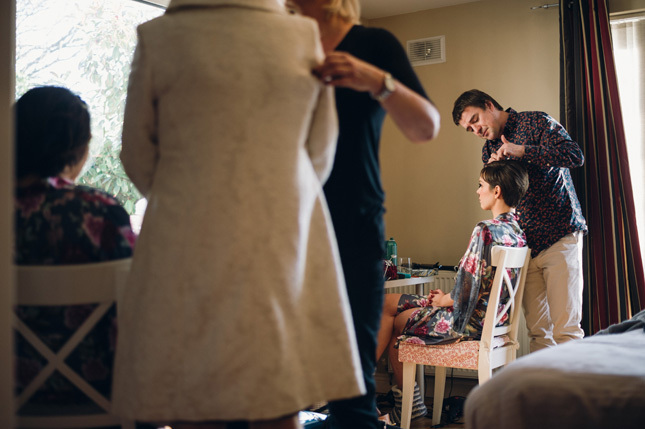 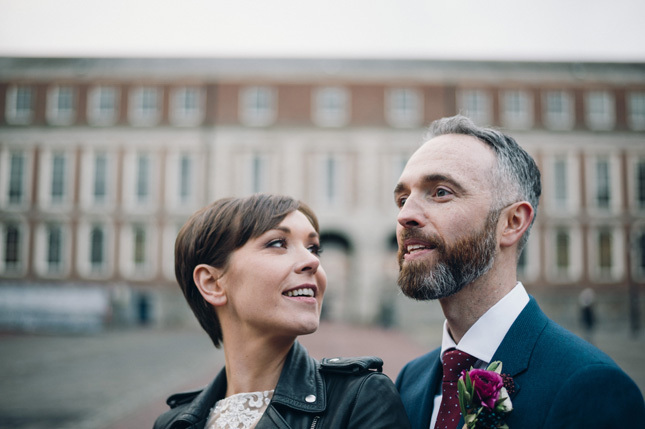 Aine and Paul had a gorgeous Dublin city centre wedding 3.5 years after they were first set up by a mutual friend in July 2014. 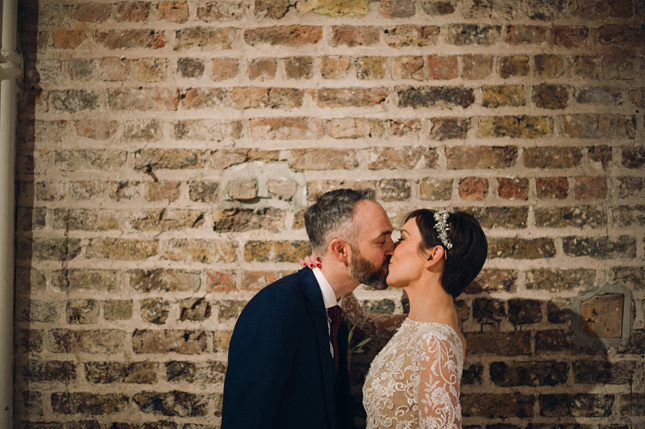 "We had never met each other before and our friend Averil had a light bulb moment thinking we would be well suited. 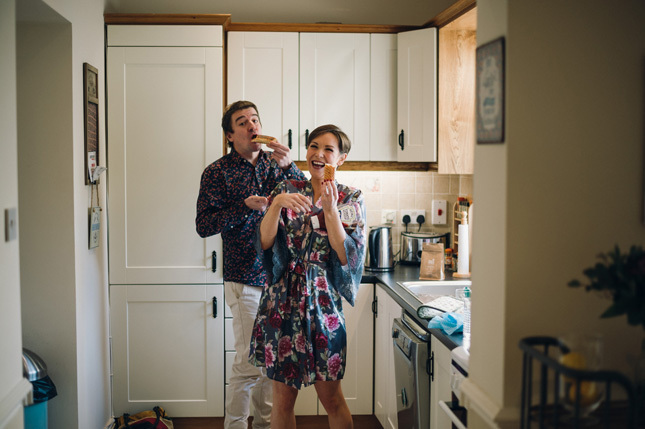 We’re both big foodies and like the finer things in life. 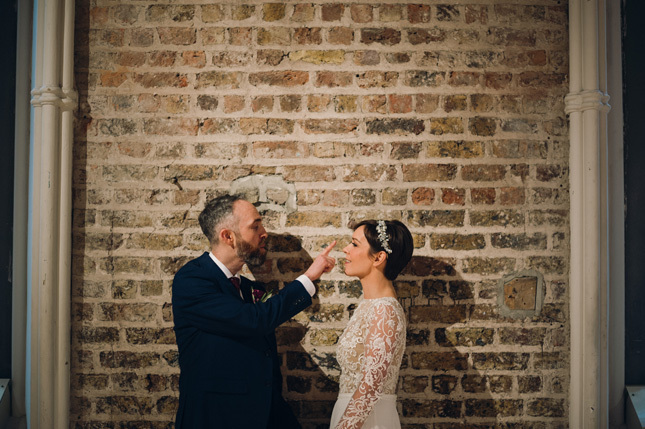 We hit it off straight away - the rest is history," says Aine. 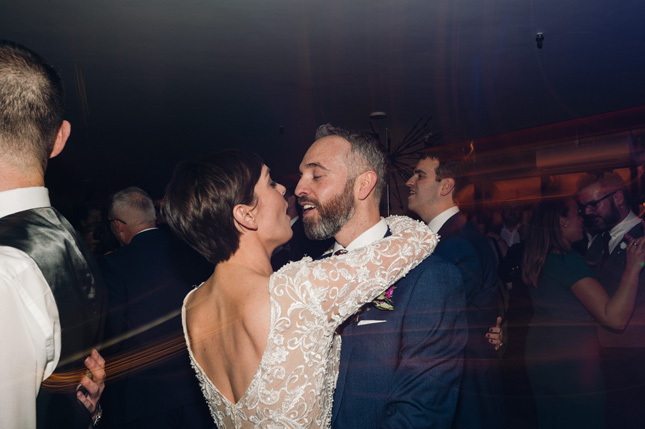 Every year they go to Neven Maguire's MacNean House in Co Cavan to celebrate their anniversary, and Paul planned for Neven to part of the proposal. 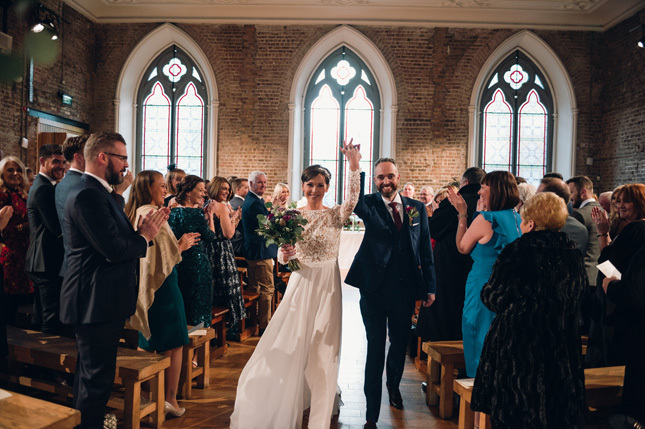 "Much to Paul’s relief, once service was finished, Neven came out of the kitchen to chat to all the guests after the meal. 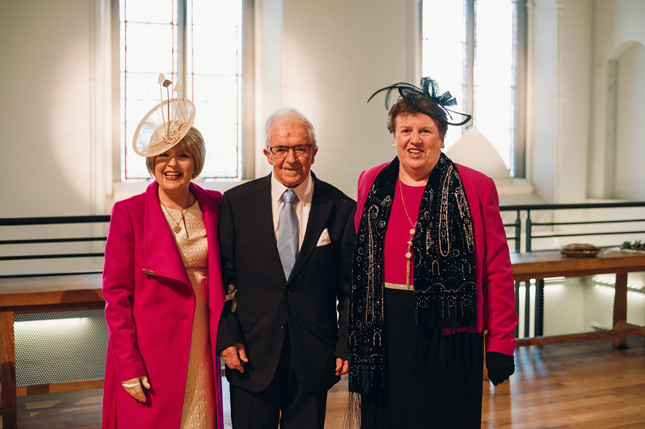 When he came to our table we asked him if we could get a picture with him as we had one from the previous year. 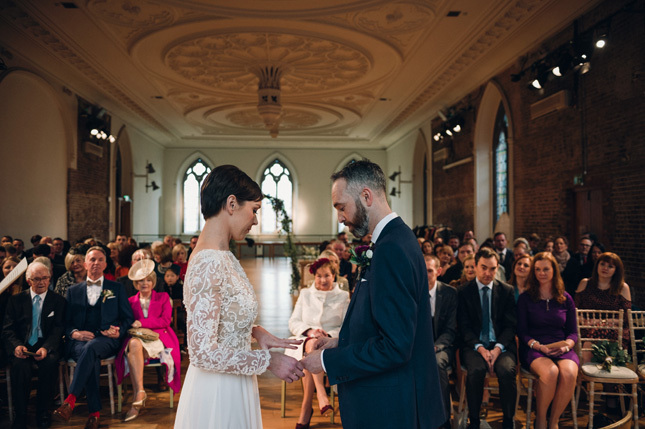 Paul then handed the ring to Neven and asked him to hold it. 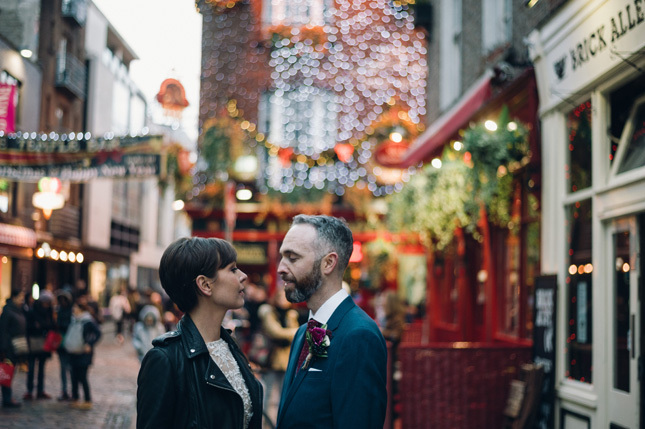 Paul got down on one knee and proposed in front of everyone in the restaurant," she says. 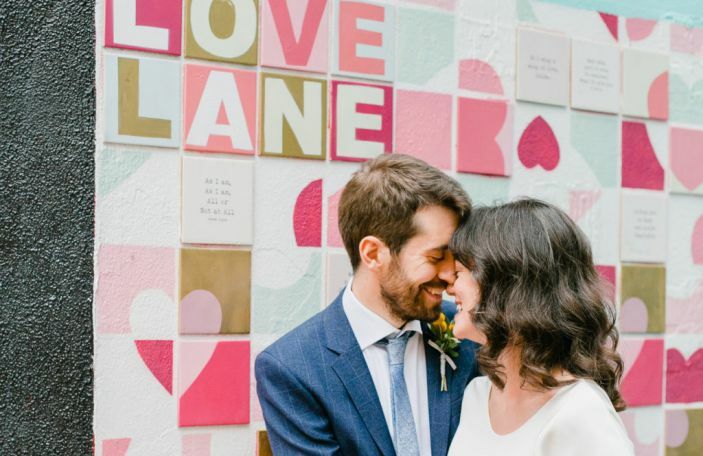 Their foodie obsession is something that runs through everything from their first date to the proposal so it only made sense for food to play a big part in the wedding. 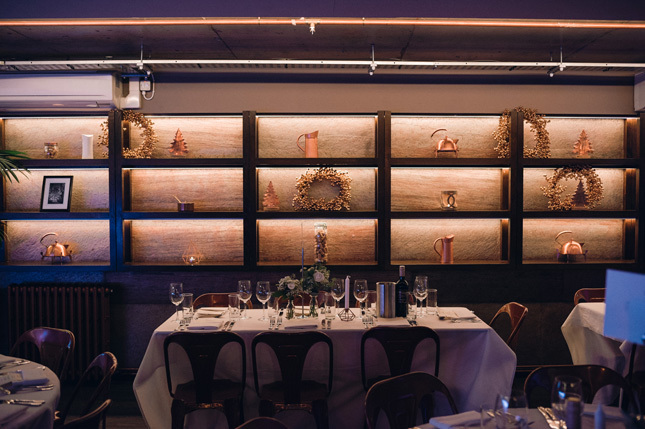 This was how they ended up choosing Medley restaurant on Dublin's Fleet Street. 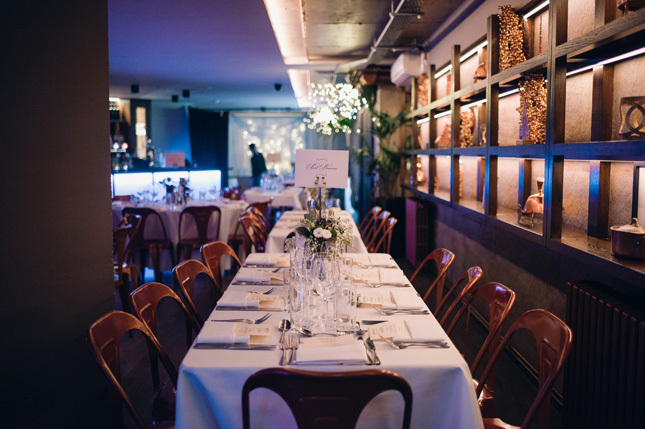 "Our selection was very much driven by the food offering. 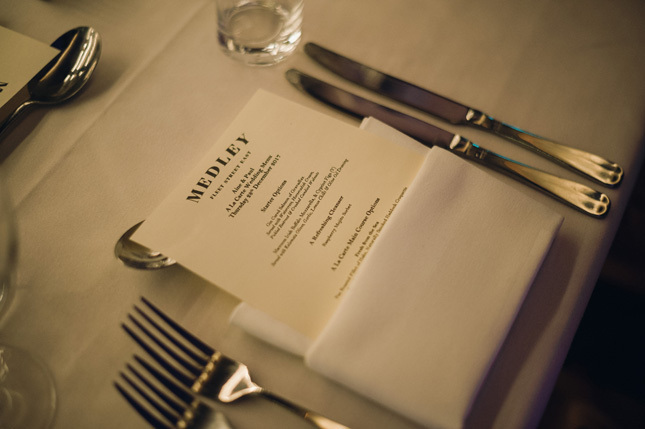 We were really happy with Medley’s offering an the flexibility they were allowing us when it came to the food. 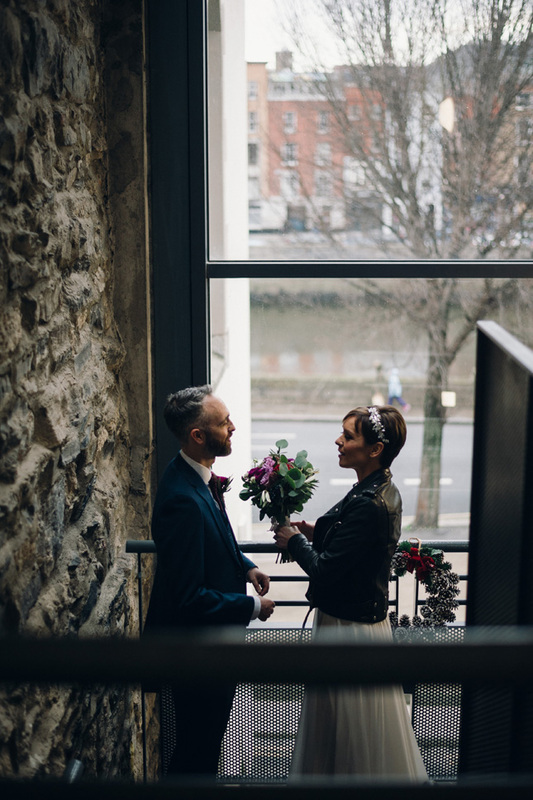 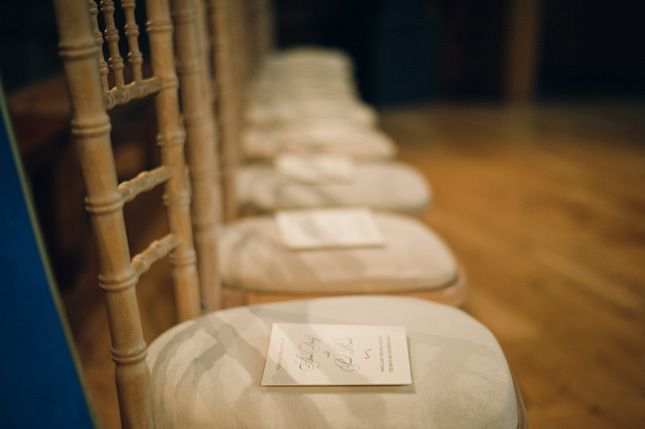 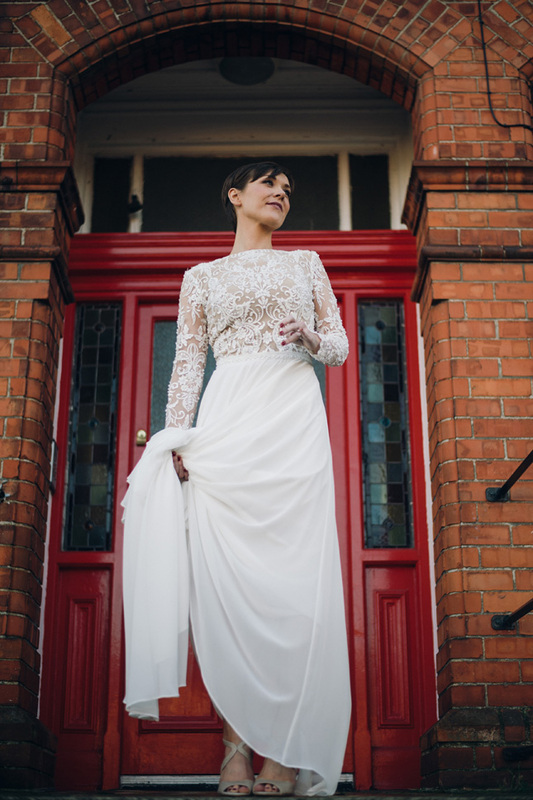 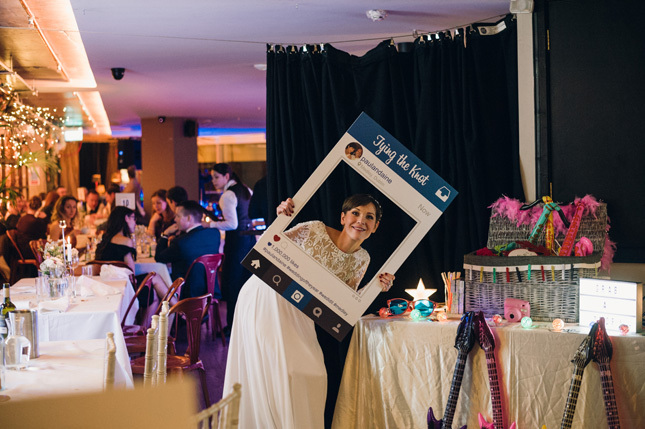 The reception venue was the first thing we booked," remembers Aine. 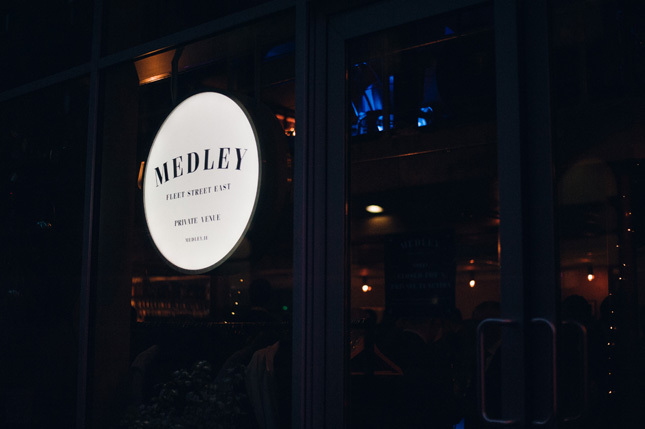 "Andrew Rudd from Medley is a well-known chef and after meeting with him, we figured we could not go wrong with Medley. 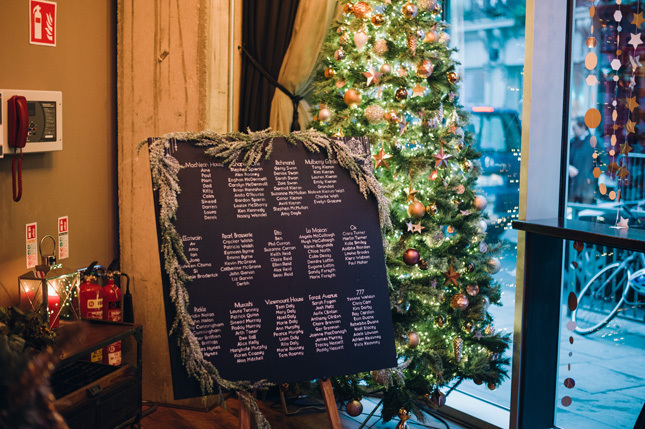 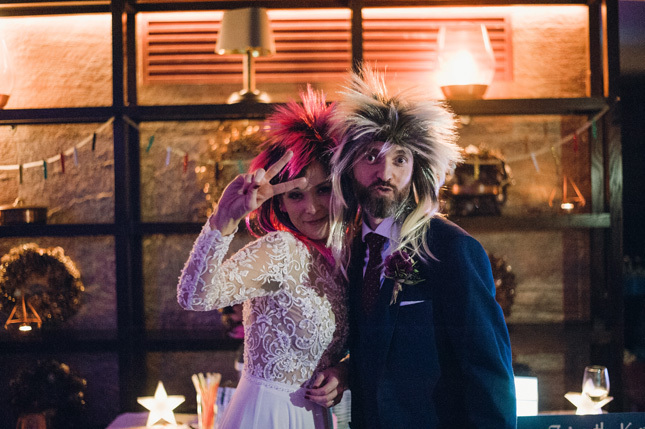 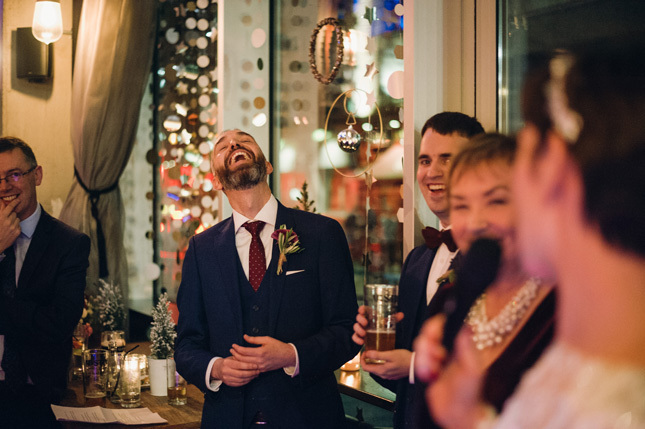 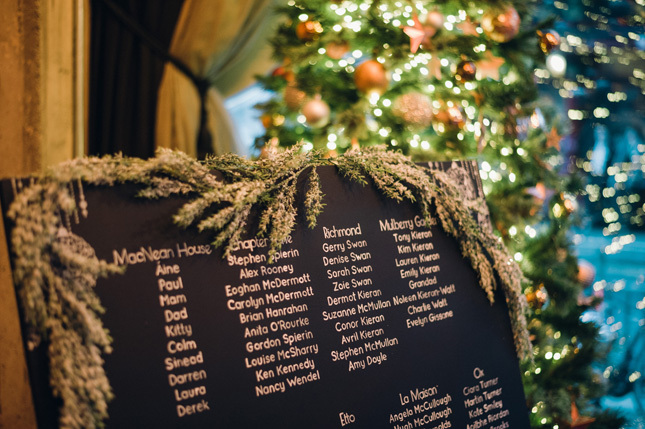 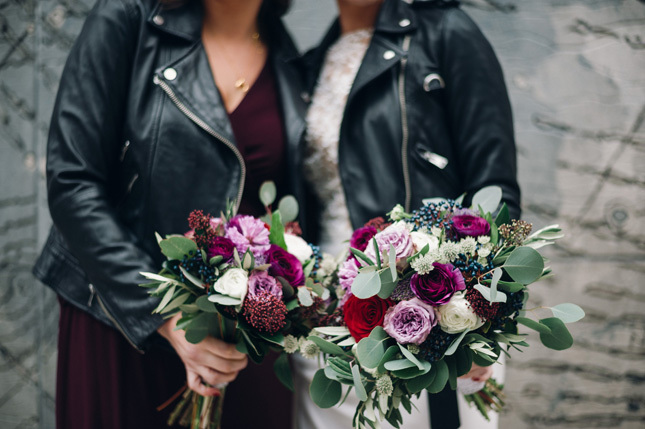 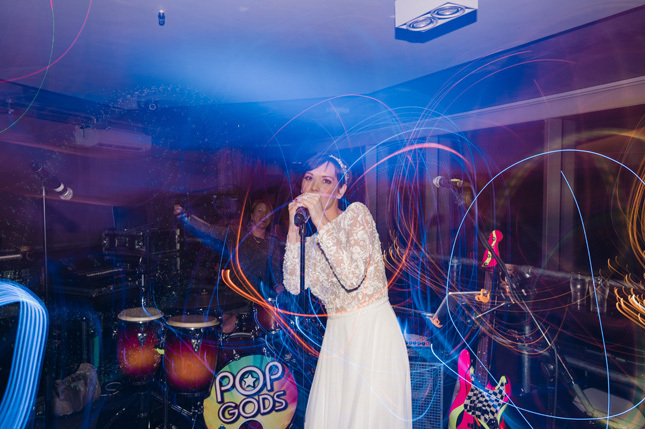 We also love the cool New York vibes of Medley and we knew it would be an amazing place to throw a party for our friends and family." 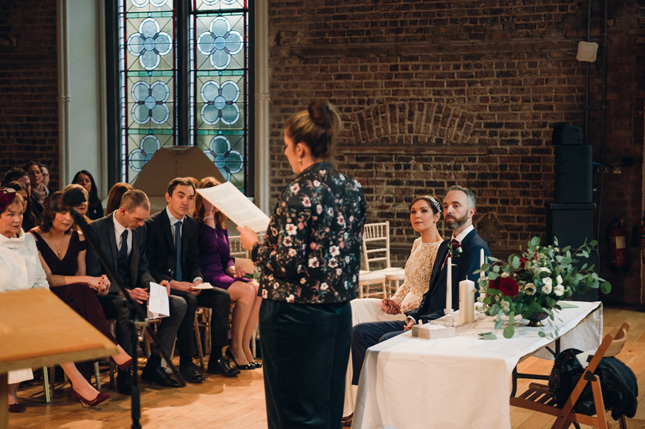 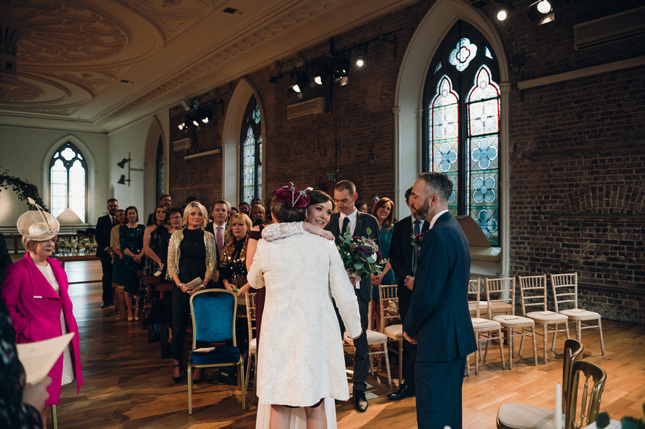 They chose Smock Alley for their ceremony but were happy that both venues were beautiful enough on their own without needing much decor. 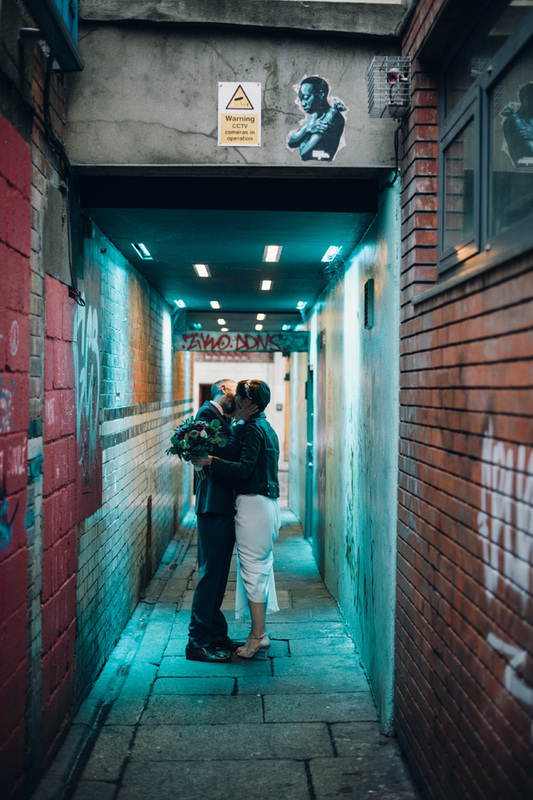 "We knew we’d have to do very little. 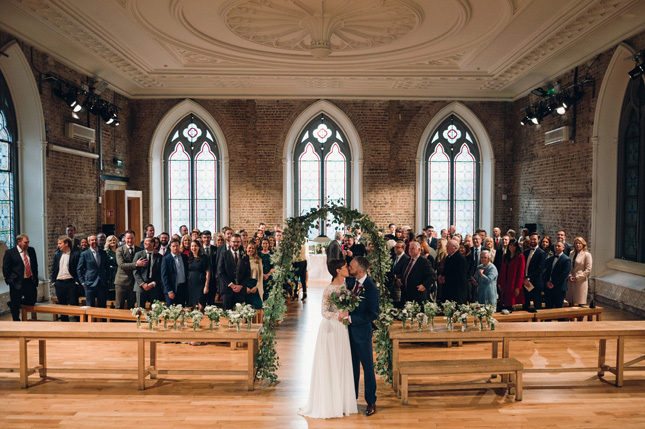 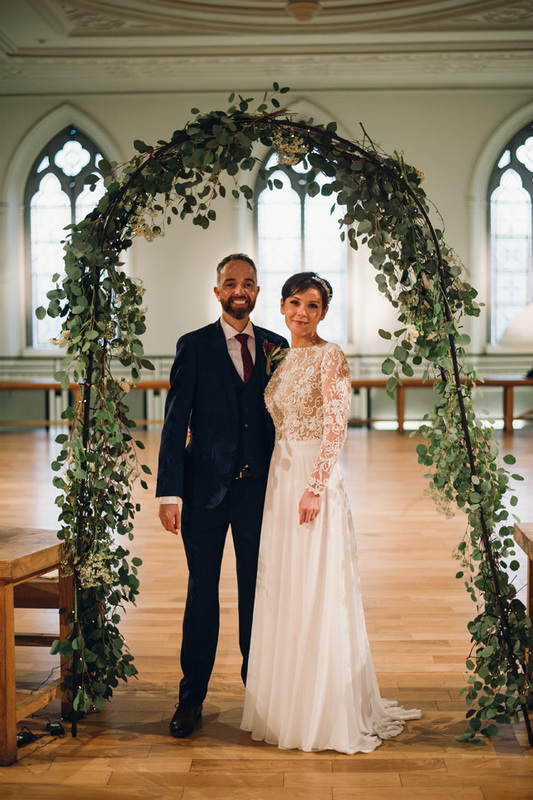 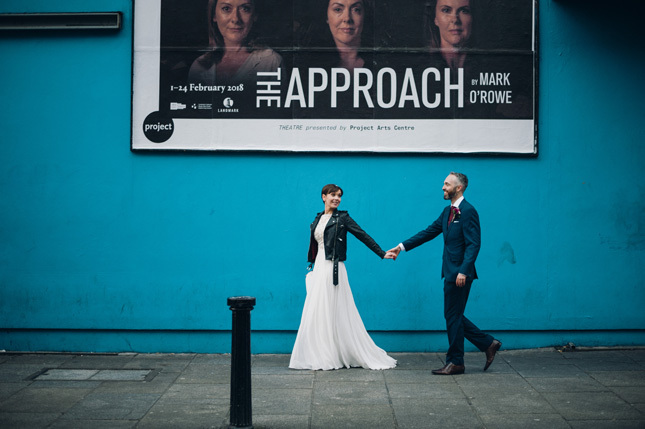 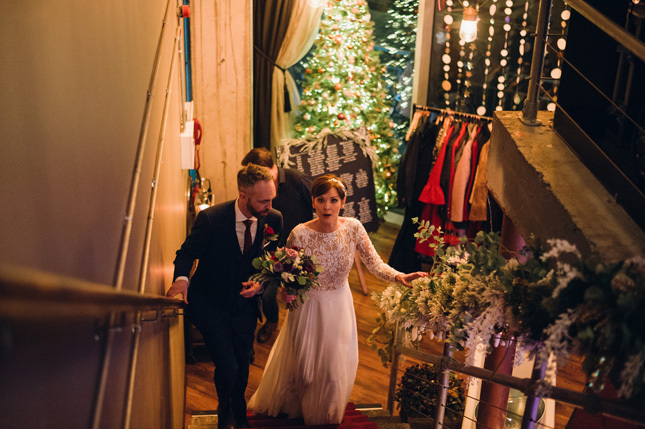 In Smock Alley we designed a birch archway with our florist for the end of the aisle. 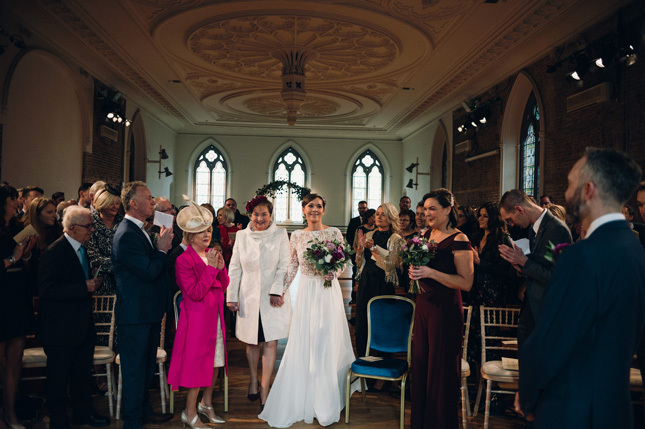 This provided a great photo opportunity as Áine began her walk up the aisle as well as for us after the service. 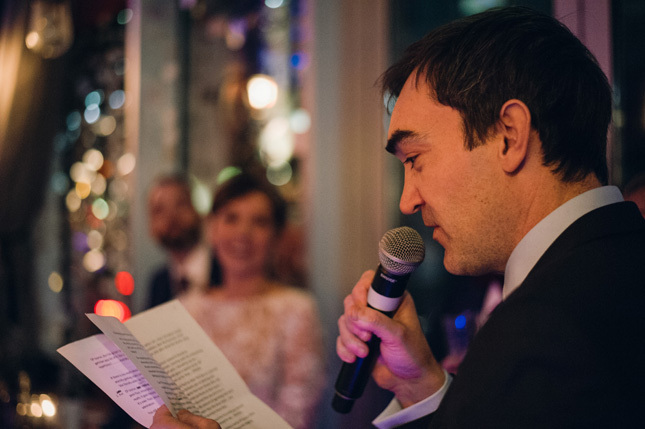 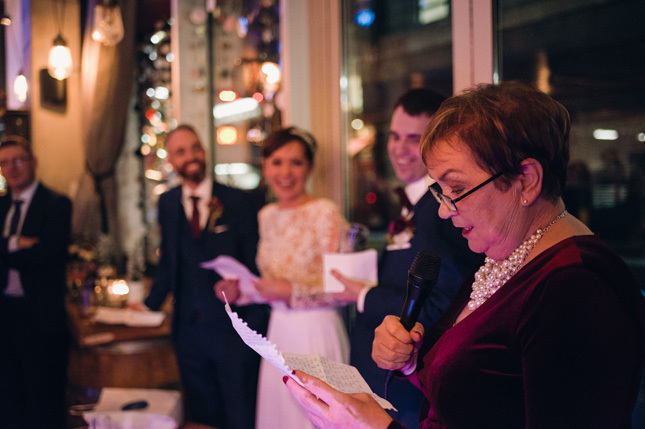 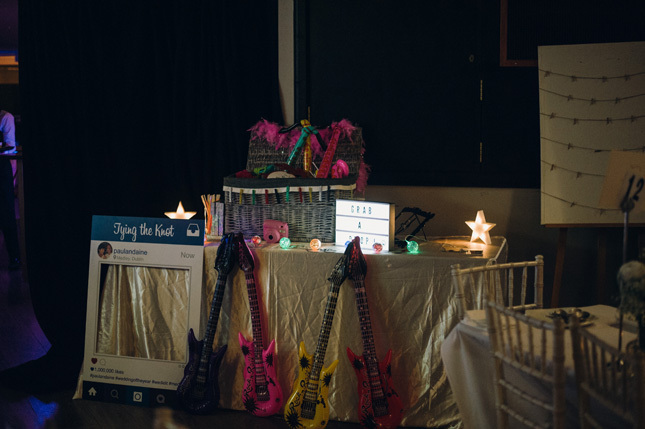 Other than the obligatory props for the dancefloor and the magician we hired, there was very little we needed to add to Medley," says Aine. 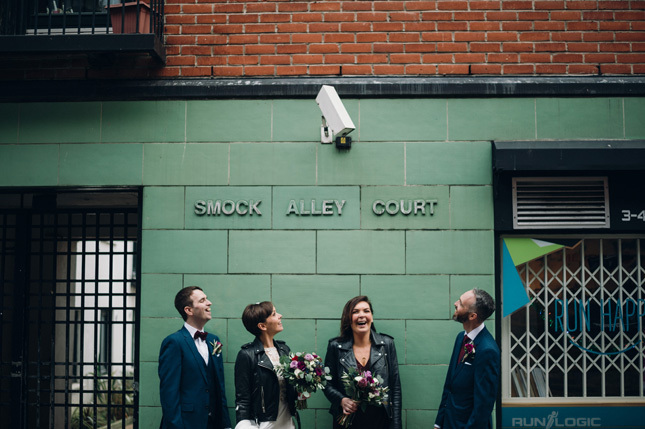 They planned the wedding in only four months, which didn't leave much time for dithering around. 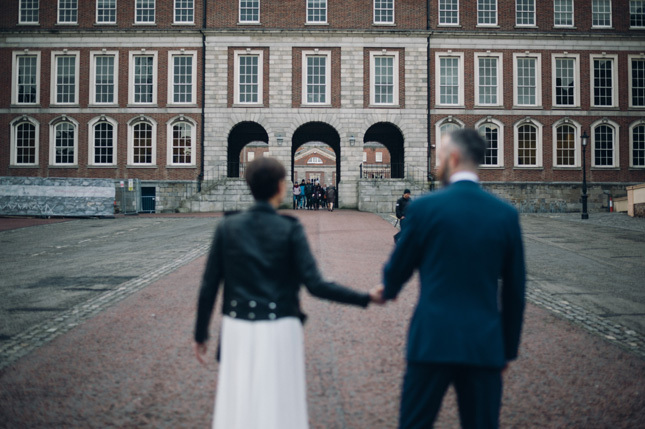 "In hindsight it was probably a good thing as it meant we didn’t procrastinate over decisions as we didn’t have the luxury of time. 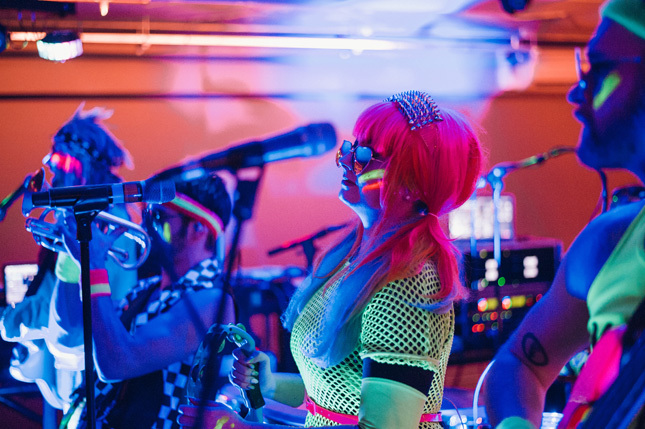 We were lucky in that all of the really important things such as the venues and band we wanted were available on the date we wanted, so the stars very much aligned for us during the planning phase." 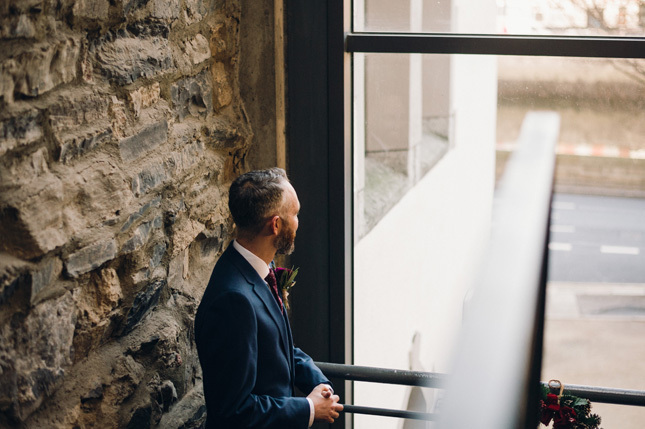 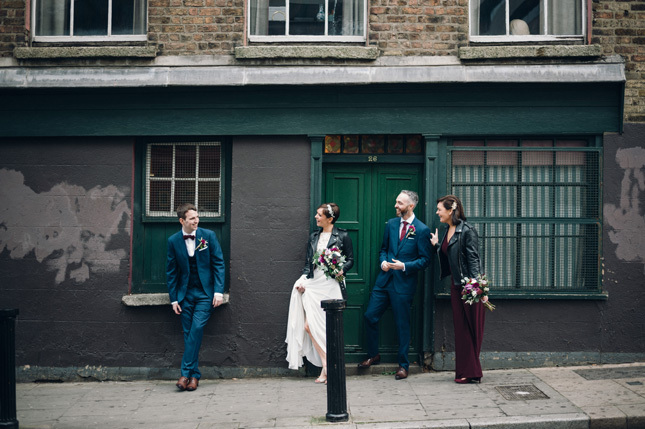 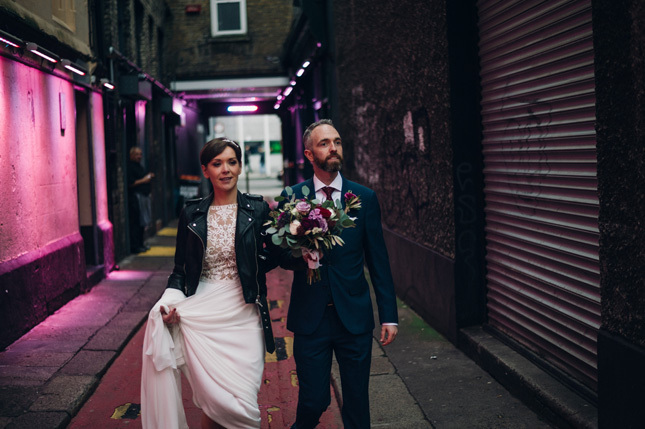 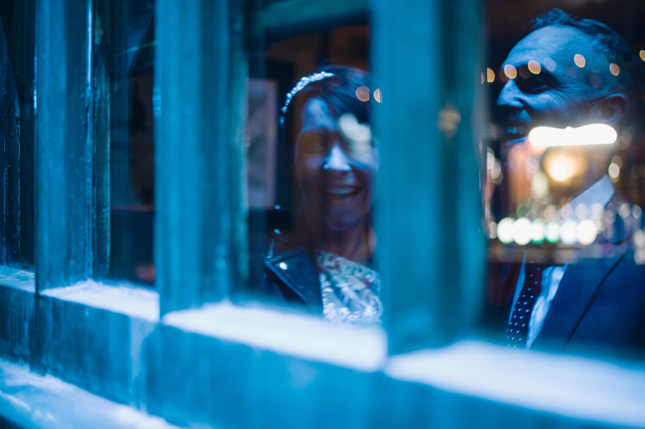 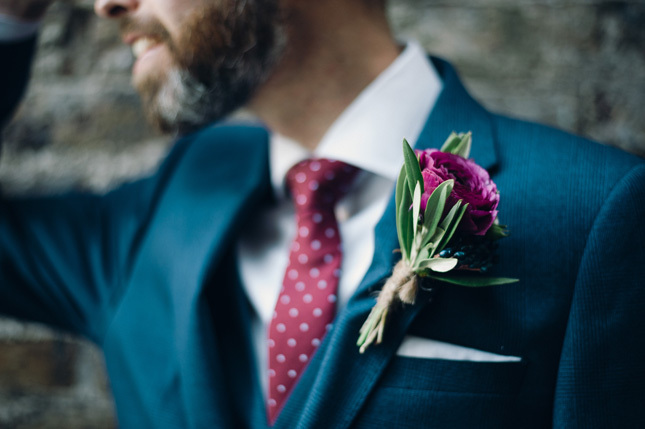 After the ceremony, the guests made their way to Medley via some Temple Bar pubs, while the couple went to Dublin Castle for some city centre wedding photographs. 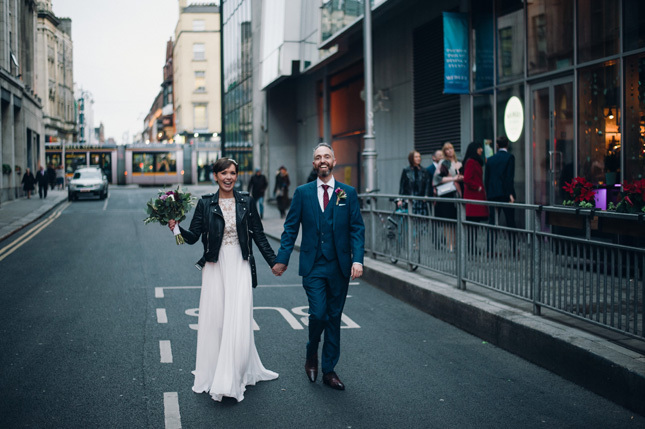 "It was quite amusing walking around the city in our wedding gear," laughs Aine. 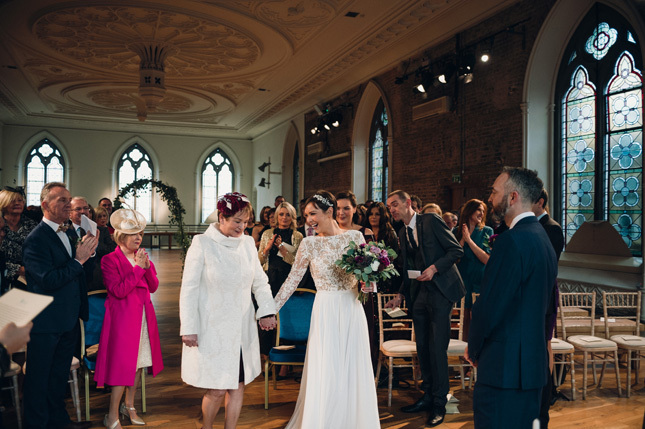 Paul's mam Barbara sadly passed away just seven weeks after the wedding. 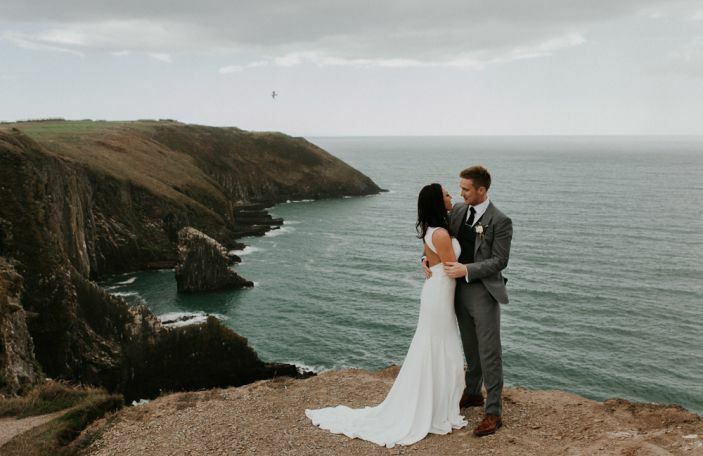 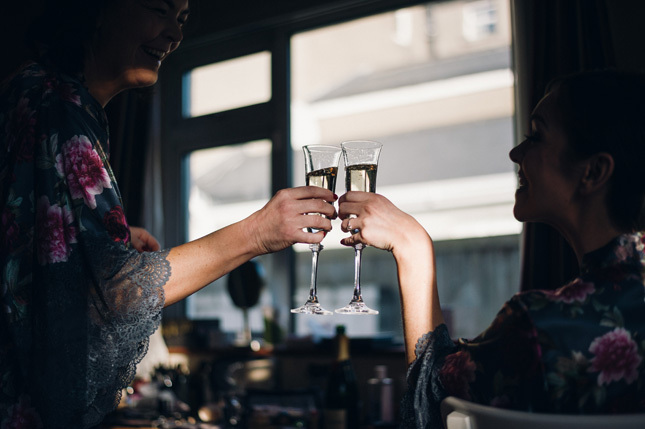 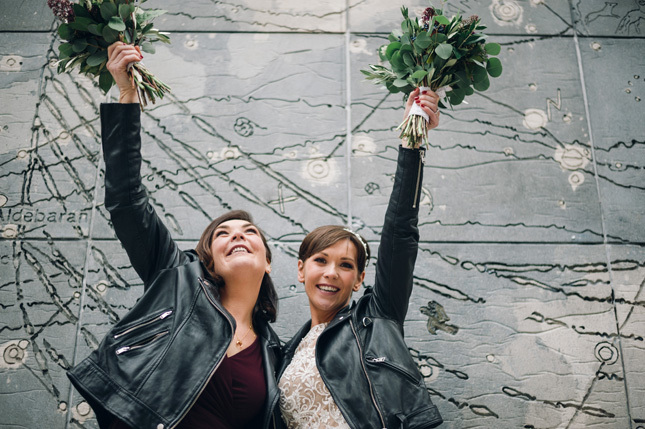 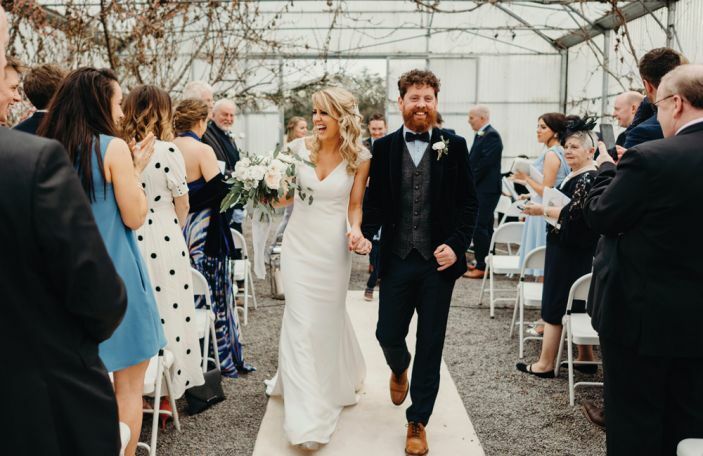 She was undergoing chemotherapy in the run up to the wedding, which made it all the more special for the couple that she was able to attend their big day, along with having all their friends and family in one place. 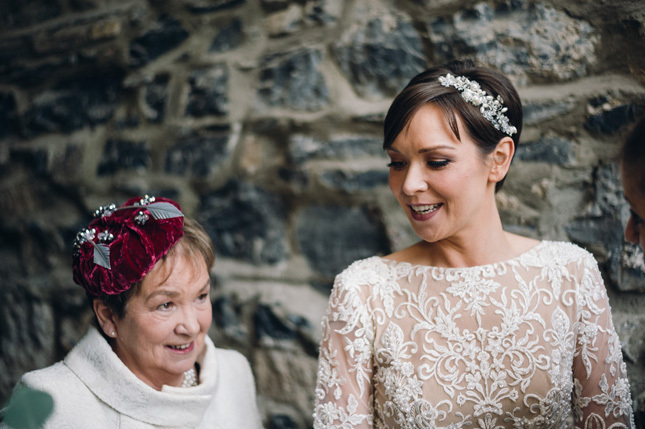 One of the unsung heroes of the day was Ana Maguire of Ana Mac Bespoke Dressmakers, who altered Barbara's dress days before the wedding. 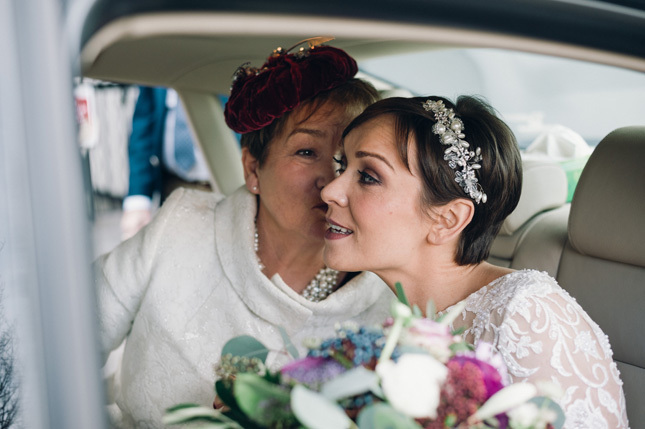 "During Christmas week, Barbara and I set off to meet Ana, who was amazing to Barbara. 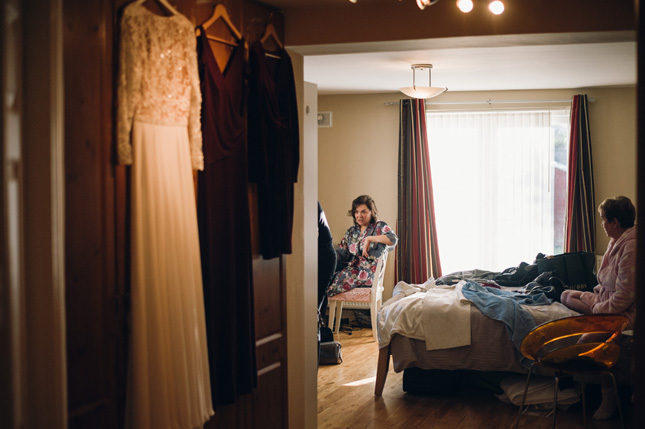 She took her measurements and did an incredible job on the dress. 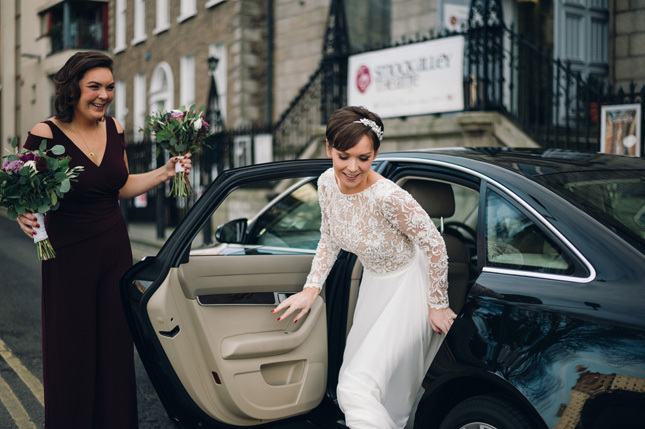 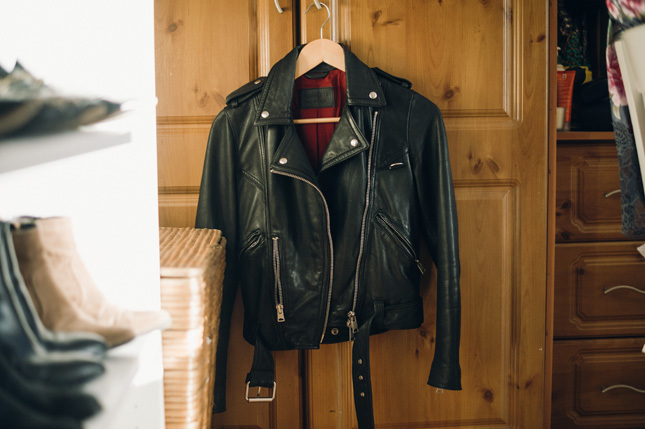 Seeing how frail Barbara was, Ana even dropped the dress out to Barbara’s house the following day, just two days before Christmas," remembers Aine. 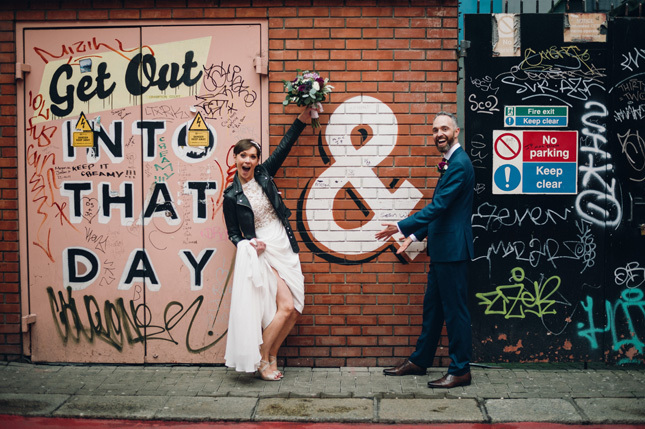 Their advice for other couples? 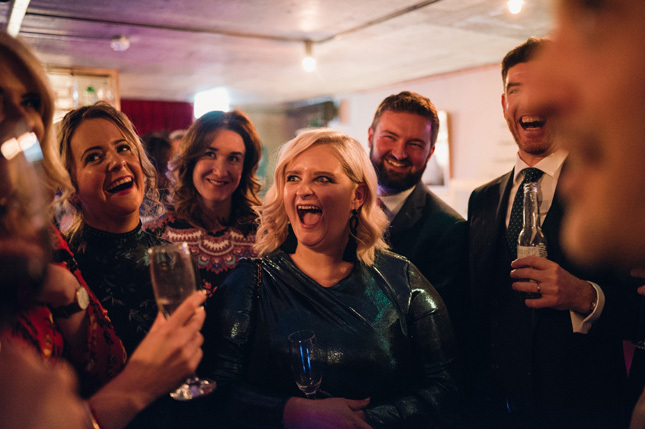 You do you! 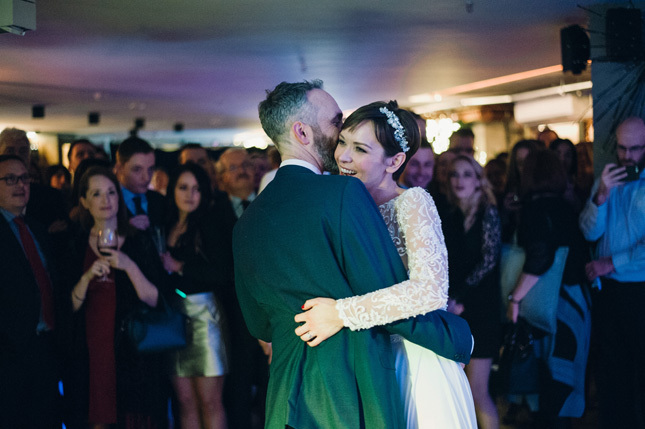 "We enjoyed the process of organising the wedding and would encourage others to do the same. 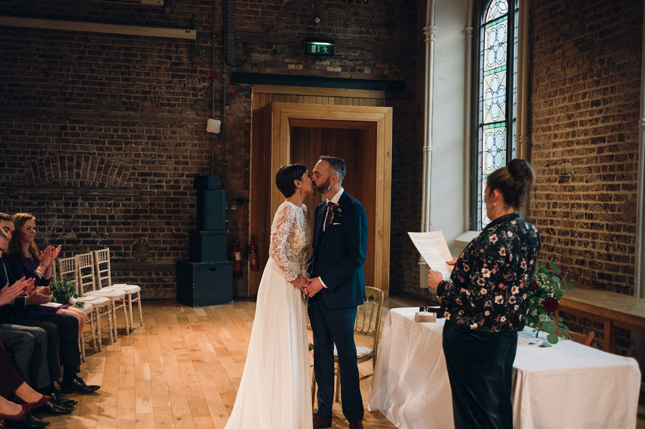 We split up various tasks between us which helped with our short timeline. 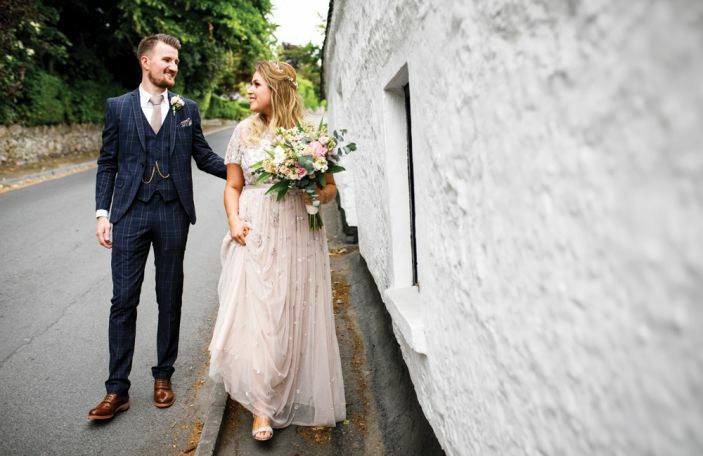 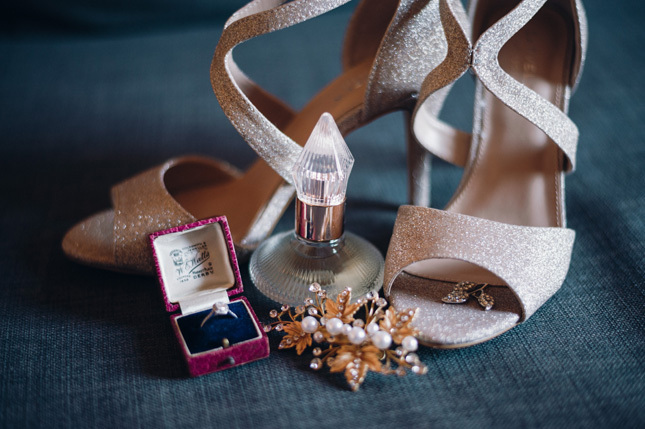 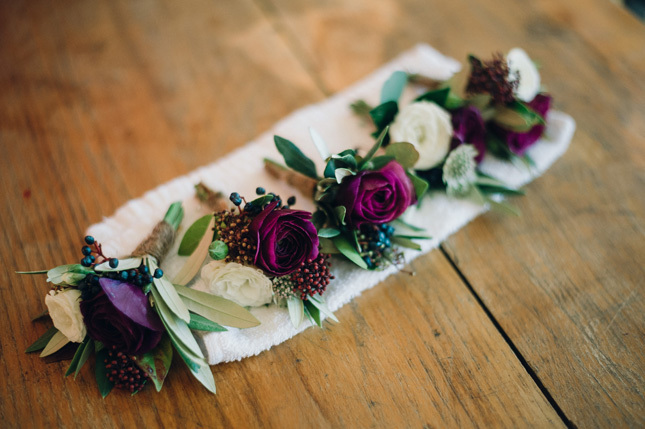 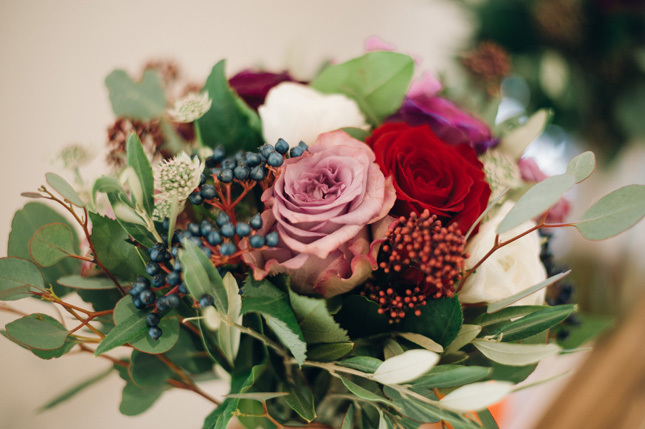 Everyone will have an opinion about your wedding, but it is your wedding, so you should follow your heart and have the wedding that you want," says Aine.